If there’s one thing that seems to remain true in marketing it’s that some clients don’t understand PR. This realization first hit me one fine October day at the turn of the century as I was sitting across from a very concerned CEO. It was the height of the high-tech boom when dot-com startups were all over the news. At the time, anyone with a flashy, technology-oriented PowerPoint presentation who could repeat “And one more thing” had a shot at becoming an instant millionaire. On this particular Wednesday morning, my team and I were sitting across from a group of executives in a spacious boardroom overlooking the main road at the epicenter of Kanata’s high-tech business community. We had just finished presenting our recommendation for the Phase II marketing strategy that would continue to build on the very successful market positioning and launch we had implemented over the previous nine months. From key messaging and branding to collateral, web, trade show, and media relations, our integrated Phase I program had taken the startup from stealth mode to belle of the ball in its target market. And, according to the trade press and analysts, our client was now the company to watch in its market space. But that morning, there was a very obvious disconnect between our team and the client team sitting across the table. I have to admit I was at a loss for words. I felt the other two members of my team tense and I avoided the impulse to turn to them to gauge their reaction. Three weeks earlier, our team had presented the wrap-up report that detailed how our market launch strategy had successfully leveraged media and analyst relations tactics to create awareness in all the media outlets focused on this particular market. So, sitting in the boardroom that Wednesday morning, my mind flashed back to the slides that outlined the results of the pre-launch efforts that placed the CEO and the CTO in a series of interviews with all the influential editors, writers, and analysts. In that split second, I mentally confirmed that we had shown how the resulting coverage was used as a springboard to set up a second round of interviews at the trade show where we launched the company and its product. I confirmed that we had a slide that listed the considerable volume of printed and digital ink that was focused on our client as a result of our strategy. And the slide that summarized the dollar value of all this “free” publicity flashed across my mind. For a moment, I didn’t know what to say. My eyes flicked over to the CTO, the vice president of sales, and the vice president of product marketing to see if they were going to offer anything that might help clarify the comment. But none of them had anything to add. In fact, they seemed as surprised by the CEO’s assertion as I was. That’s when the lightbulb went on in my head and I realized why there was a disconnect. I glanced at the rest of the executive team and then back at Brian as I tried to figure out how best to explain the role of actual news in the PR process. In the end, I decided the straightforward approach was best. Over the next five minutes I explained how effective PR was essentially journalism in reverse. I outlined how an effective PR strategy is one that looks at the process from the writer’s, editor’s, and analyst’s point of view. Their job is to report, explain, and analyze developments in the industry. 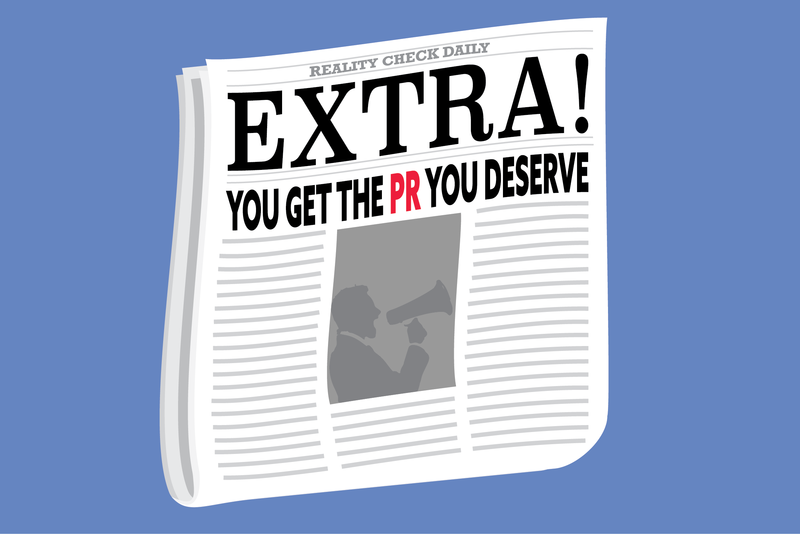 So, the job of an effective PR program is to make the job of the writer, editor, and analyst easier — to bring the news to them, position its relevance to the ongoing conversation in the industry, and provide access to the people who can deliver the facts that explain the nuances of the technology and, ultimately, the value of the technology to the target audience. Tying it back to Brian and his question, I explained how we would be looking to make this work during the next phase of our marketing strategy by identifying news we could deliver in obvious areas, like product roadmaps and key milestones that would allow us to announce new product developments. These would continue to build on the product value positioning we had used as the anchor for the launch. Ideally, we would want to balance those with announcements of significant sales that showed the product was getting traction in the market. At the same time, we would be looking to continue to build on the thought leadership positioning we established during the launch program by identifying areas where we could “create” news that would move the industry conversation forward or change the conversation, if needed. “Okay, but that doesn’t guarantee they will cover it,” Brian countered. Shortly after that meeting, Brian approved the PR-centric Phase II strategy we had proposed. Executed over a year, the strategy continued to position the company as a thought leader in its market space. The trade media and analysts said so. Eventually, all the awareness created a lot of interest in the company and it was bought by an international player who wanted the product and the brain trust behind it. Brian got the PR his company deserved and went to the bank as a millionaire. And I’m still somewhere on the road to marketing nirvana. This blog is based on a true story from my notes on the road to marketing nirvana. The names of the companies and people involved have been eliminated or changed to protect the guilty.